Perry's resignation was effective Dec. 31, according to the company's filing Thursday with the Securities and Exchange Commission. His involvement with the company, which is building the controversial Dakota Access Pipeline, had drawn attention as a potential conflict of interest after Trump tapped him for the Cabinet post last month. "Mr. Perry’s decision to resign from the board of ETP LLC was not due to any disagreement with the Partnership, the General Partner or ETP LLC relating to the operations, practices or policies of the Partnership," the filing said. 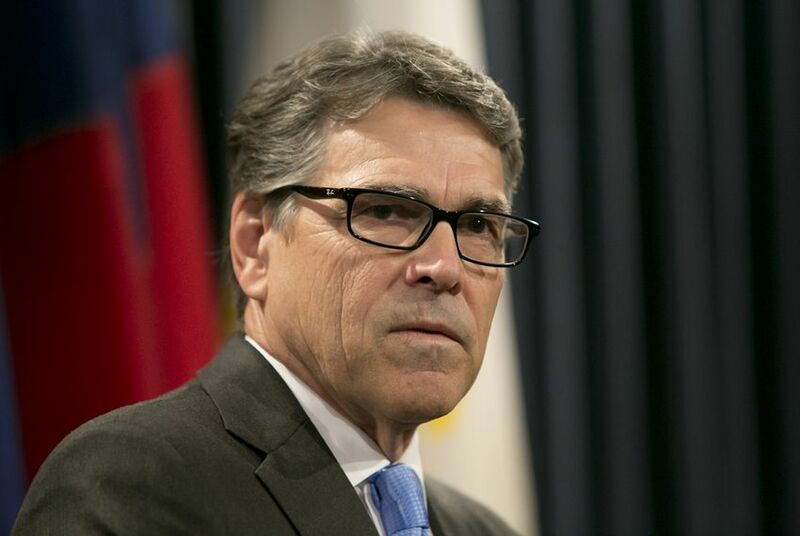 Perry joined the board of Energy Transfer Partners shortly after stepping down as governor in 2015. The company's CEO is Kelcy Warren, a longtime Perry donor. Native Americans and environmentalists have fought the Dakota Access Pipeline's construction in North Dakota. The Army Corps of Engineers announced last month it will look at alternate routes for a part of the project in the state.